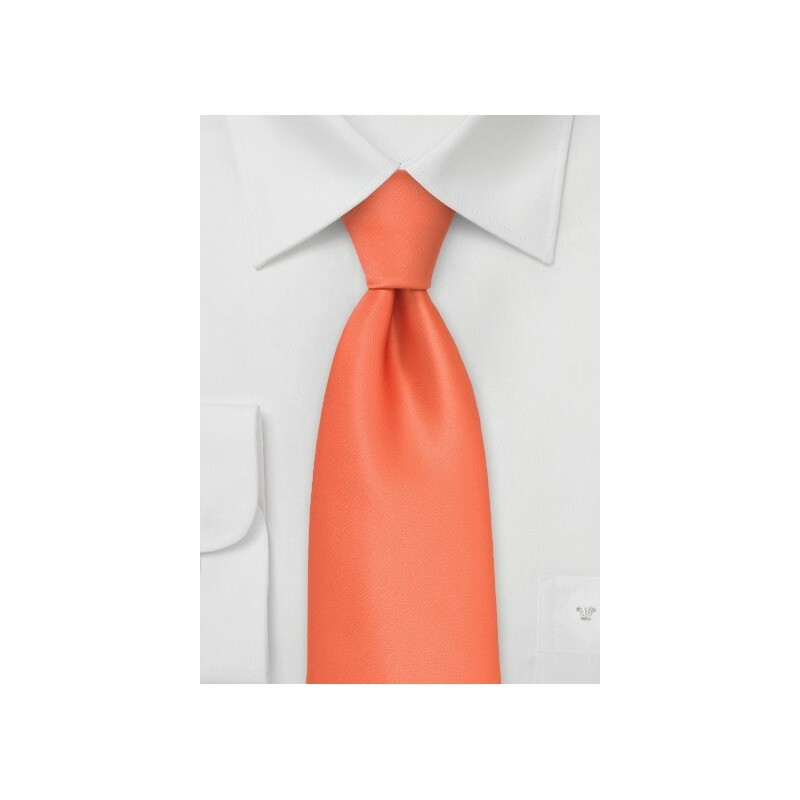 This Puccini neck tie is a fun way to incorporate an elegant color into your work wardrobe. 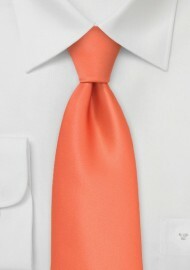 Whether you have a business meeting to attend to, or a business luncheon, this is the tie for you. The bright and vibrant coral orange is a great color to sport because it is both a professional as well as a sophisticated color that you can have fun with. For a business attire, we love this orange with a white dress shirt and a navy suit, topped off with a funky pocket square. For a luncheon, we suggest pairing this tie with a patterned blue or light orange dress shirt with a navy blue suit and a some nice cufflinks. Both looks are extremely professional, but they give you freedom to express yourself a bit. Please note that this tie is made in XL length for the big and tall man.